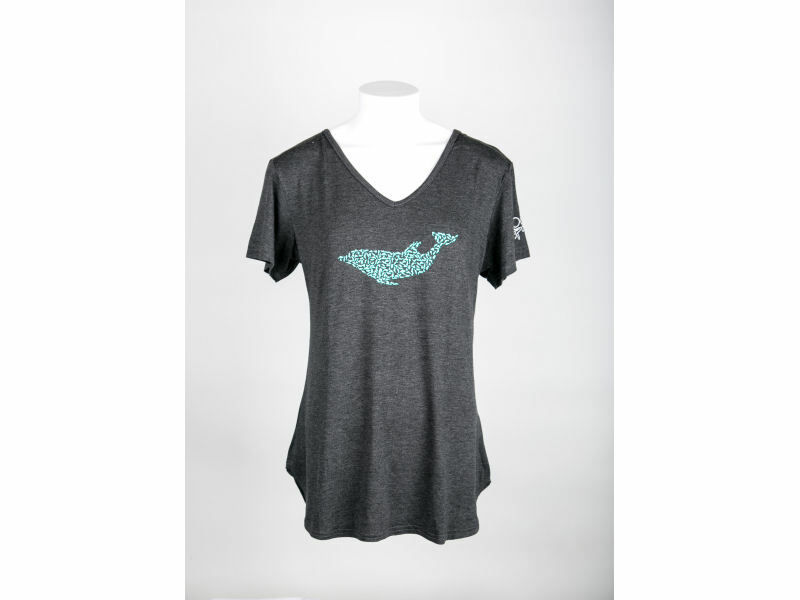 Charcoal vicsouse lycra ladies v-neck t-shirt. 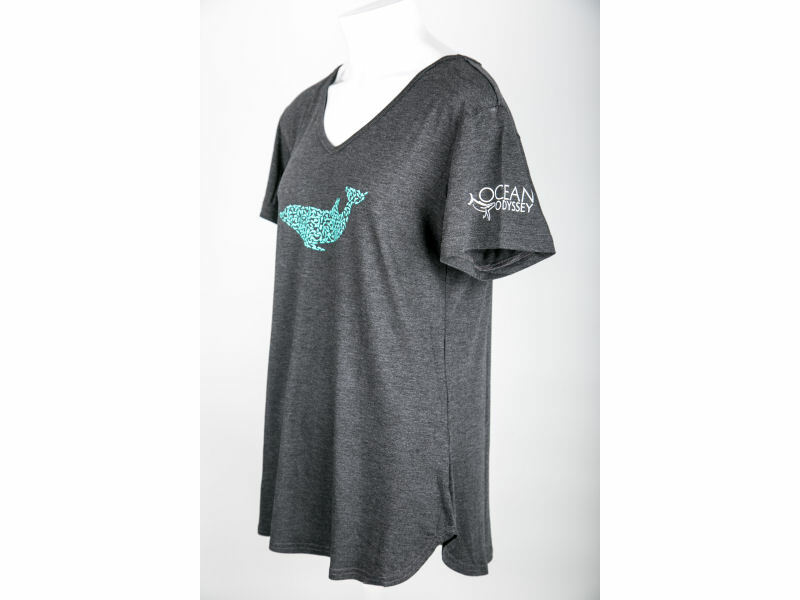 Comfortable loose fit. 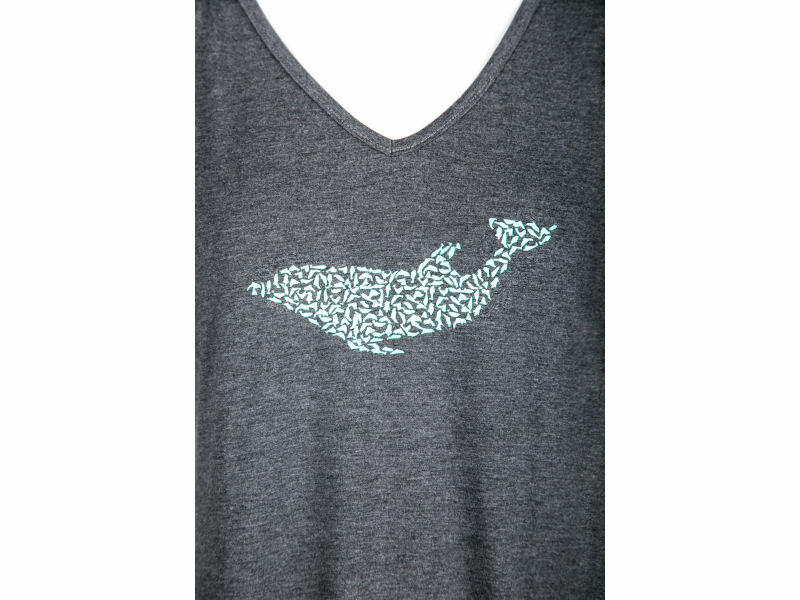 Turquoise dolphin print on the chest and white Ocean Odyssey logo printed on the left sleeve.